See this home that was recently featured on HGTV's "My Lottery Dream Home." It truly is a dream home but you dont have to be a millionaire to buy it. 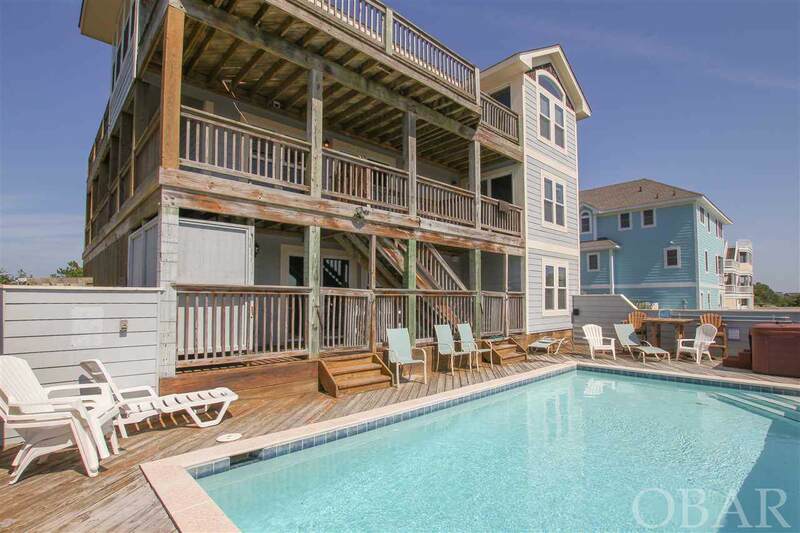 This top performing rental property has all the features that vacationers want. Located on a high elevation, the house enjoys views of both ocean and sound. 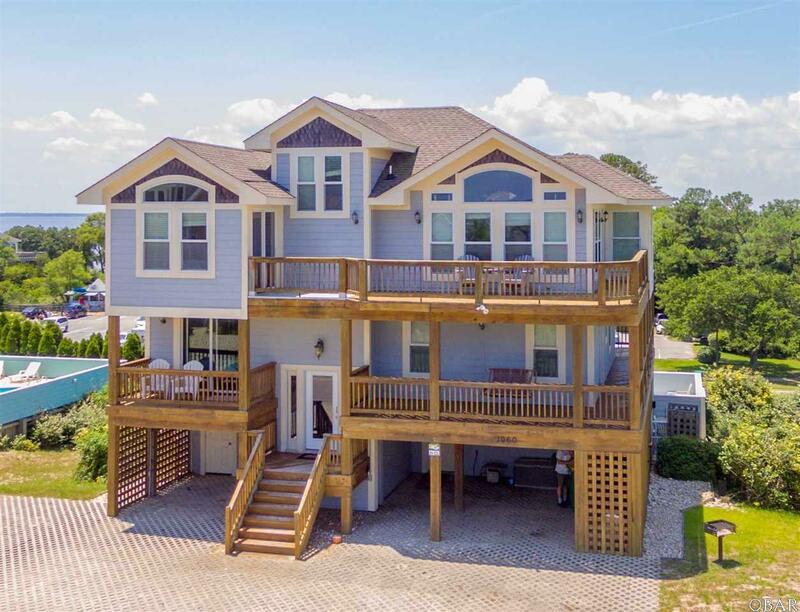 In a newer section of Corolla Light, this six bedroom home is beautifully furnished and decorated in contemporary style. The house is loaded with upgrades including an elevator, large heated gunite pool, gorgeous cherry hardwood floors and custom tile work. Double dishwashers in the kitchen and twin sets of washer-dryers in the laundry are examples how well this home is designed and equipped. There is plenty of living space inside with a huge mid-level recreation and media room and first floor game room with foosball and pool tables. Both areas have kitchenettes. The top floor living area is open to sunlight and fabulous views, there is even a loft space for gazing out on the water. The kitchen and dining area seats 12+people . The house has been well maintained and is easy to care for with cement siding, a new HVAC system and state of the art construction. Its X Flood Zone designation is the most favorable rating that requires no flood insurance. Corollas shopping, dining, and local attractions are right next door and the beach is nearby- accessed by community trolley or a short walk. 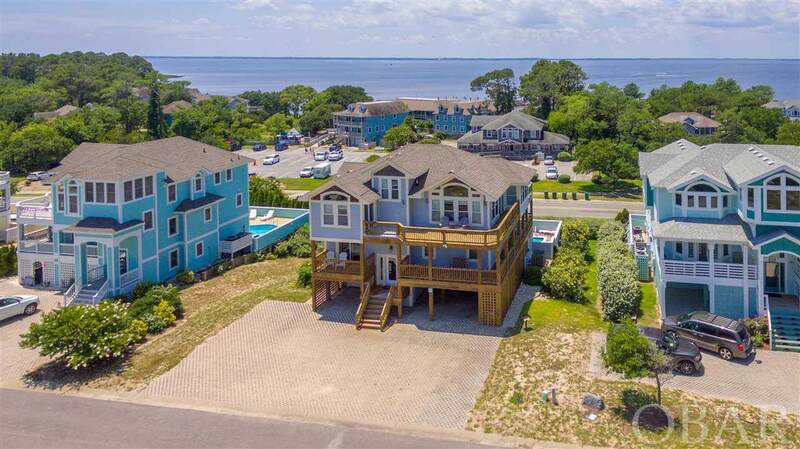 The offerings of the Corolla Light Resort are well-known- tennis courts, oceanfront recreational and dining complex, indoor sports center and much more. With a strong rental history, new owners of this home can count on an excellent income stream, but must be sure to block out time for their own enjoyment because this house books up fast. Call agent for a showing.Check it out on HGTV: https://www.youtube.com/watch?v=oTClmkxwd9I Watch for it on Friday nights on HGTV. This house could be a winner for you. 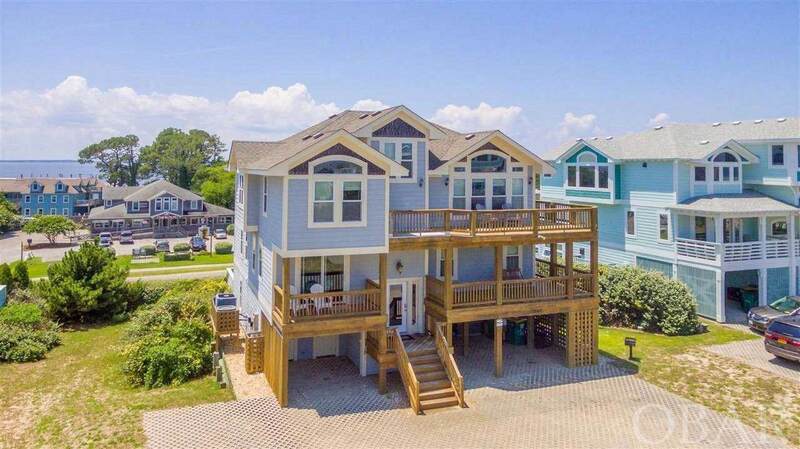 Listing courtesy of Scott Wheeler of Keller Williams - Obx.